If you are like most people, you frequently combine different foods together in one meal. You don't generally, for example, have just have a big plate of spinach for dinner. Or eat a platter of lamb chops and nothing else. In fact, if you are clever and industrious, you may even chop up numerous ingredients using a "recipe" and then combine them all into a single dish! This is called cooking. Yet so often, we read nutritional studies that tell us all about how a particular food is good or bad for us as though we ate it in isolation. As it turns out, nutrition is a lot more complicated than that. Some nutrients work synergistically, so you get way more nutritional bang for your buck from combining them. Olive oil and tomatoes? Peanut butter and whole wheat bread? Berries and green tea? These friendly foods get along really well and they accomplish way more working together than when they're all by themselves. 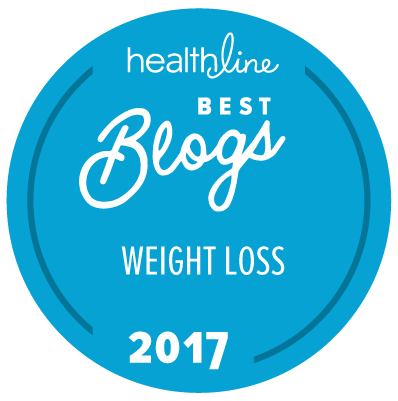 So there's a great post over at Arena Fitness about food synergy, and I thought, well, wouldn't it be nice to copy their post and be done for the day do a round up of nutritional food synergies and antagonisms so that people can know what they should or shouldn't be eating together? But then when I looked into it further, it all got terribly arcane and tedious. And a lot of foods just end up complimenting themselves, (I hate it when foods get so narcissistic like that) like apple skins and apples, so the message you end up with is "don't peel stuff," which you already knew anyway. Plus, I ended up realizing that it's hard enough to eat a healthy balanced diet with a variety of different whole foods. If I have to start obsessing about whether I should have my spaghetti marinara with spinach or broccoli for optimal results... I might get so fed up that I'd figure, the hell with it, I'll have a cheeseburger, fries and a Coke! Which is a much simpler meal because there's no guessing; you know it's gonna be bad for you. Instead, I decided want to address a whole different issue related to combining foods: Food-Flavor Contextual Anomalies. I hate olives, green or black. Yet I love extra virgin olive oil, the more flavorful the better. I love a sprinkle of walnuts on a hot fudge sundae, or in a salad. But should walnut chunks dare to appear in a brownie or in a banana muffin I will spit them out into a napkin when no one is looking. Coconut in Thai food? Yumm! Coconut candy? Eww. Carrots, raisins, mayonaise? I like all three of these! But combine them in a carrot-raisin salad? Barfarooni. Celery and... oh wait a second. I hate celery whenever and where ever it appears, even if there is peanut butter involved. That's how much I hate celery. Tomatoes, tomato sauce, salsa, bruscetta... Love me some luscious tomatoes! But tomato soup or tomato juice? Bleechhhh. Anyone else? Do some foods transform from loathsome to lovely depending on the company they keep? I'm with you on the olives/olive oil thing. I also happen to love garlic and onions in a great number of dishes but don't ever try to feed me potato chips, crackers or any kind of cheese which is flavoured with either of them.. blech! I just want to clear up that cooking or blanching spinach inactivates the oxalic acid, so calcium can be easily absorbed. I love how nature puts the right things together. Vitamins A, D, E and K are fat-soluble, so can only be absorbed in the presence of fats. The foods where they occur naturally also contain fats... even the leafy greens and broccoli. This is why refining food is such a stupid move... we're damaging the food! I'm going to check out that article now... I've been interested in food combining for a while. I can't eat sweetened vegetables... like candied yams. I like them plain. And while I love fruit, I don't like it in food. I love potatoes, but hate potato chips (except pringles, which aren't greasy and don't count). I think that's the only weird food thing I have. We seem to have similar tastes in food combinations! Although, I don't mind carrot-raisin salad or nuts in anything. In regard to tomatoes, though, I hate them in salad, bruscetta, chunky salsa or chunky tomato sauce. But I'll eat smooth tomato sauce, tomato soup, smooth salsa, and even the occasional tomato on a sandwich. I also love cherries and peaches but hate cherry pie or peach cobbler. I refuse to eat artichokes in any form except spinach-artichoke dip. I'm pretty much on the same food page, Crabby! It's amazing these food combinations are still here. I'm with Hanlie on the candied yam. I can barely write that without my stomach turning. Why? Why are these atrocities committed? I can't think of anything else right now. The horrors of candied yam have wiped everything else from my brain. I do not enjoy cooked peppers or sun-dried tomatoes, although I will enthusiastically eat them raw. I also hate sweetened yams or beans- they might take my Massachusetts citizenship away for this, but I think Boston Baked Beans are a sacrilege. Also, I hate donuts. I love pastry and I used to make it for a living, but donuts are yucky. I have tons of food quirks, although most are just the "i don't eat___" variety. I cannot eat cold cheese, no matter how fancy. Cubed cheese, sliced, string cheese, etc are all out of the question. However, any form of warm cheese (queso, Laughing Cow warmed on a toasted bagel, cheese on pizza) is yummy! Also, i'll eat tomato sauces (marinara, smooth salsas, tomato soup), but no chunky tomatos (pico de gallo, tomato slices, etc). Note: word verification = "wayin"
My thing is more textures than flavours (although I hate tomato juice or soup, love real tomatoes not those winter grocery store one). The texture that bothers me the most is jello salad, jello is bad enough on its one but when chunks are in it as well..... I also cannot drink juice with pulp. I love fresh spinach, but not a fan of the cooked stuff. Crispy is better. Give me a salad any day. Bananas. I will, on occaision, peel and eat a banana. Or my favorite breakfast restaurant serves a waffle with strawberries & sliced bananas on top and that is ok. But I do not like anything with bananas mixed in, or anything banana flavored - smoothies with bananas, banana muffins, banana yogurt = yuck. Oh, and I love olives but that carrot raisin salad thing looks pretty awful. I'm with you on the tomato soup and the carrot-raisin salad (good thing I only have coffee in my stomach!) but I will drink tomato juice. Don't like tomatoes in a salad, but put them in a sandwich with some bacon and I'm there! And for God's sake, don't put raisins in my oatmeal cookies! There are more, but I'm trying not to take over your comment section! I think Hanlie, Leah, and I must be related. My brother always told me the fact that I loathe candied yams is One More Sign that I was adopted. My kids drive my wife and I crazy with this stuff. One will not eat ham if it's baked or on the grill, but her favorite sandwich in school was a hot ham and cheese. The next one has a problem with onions. If you put one in a salad, or even breath in his direction with onion on your breath, he just about gags, but give him a fist full of fried onion rings he’ll wolf them down and come back looking for more. Then I also have an Irish child that doesn’t like corned beef but that’s a whole genetic switched at birth thing I think is going on. OMG..you mean carrot raisin salad is a real thing?! *gag* Tho I just hate raisins and grapes anyhow..
you guys made me think of the pearled onions my mom made us eat when we were little. couldn't leave the table until the 2 we were given were gone. an hr or 2 after dinner, we both were still at the table! Do some foods transform from loathsome to lovely depending on the company they keep? Yeah, go figure that, a French girl who doesn't like mayo. Huh. I hear you on the tomato juice - even that little lemon wedge won't do it for me. Love eggs - hate quiches (a little too ill-defined as to its texture for me - not that eggs on their own stand up to that scrutiny). Like cole slaw - hate cabbage. Any kind of ground meat mixed with cereal and made into a loaf shape should be banned. Aka meatloaf. I've heard of folks who eat peanut butter and mayonnaise on bread. They usually live in trailer parks. Bad combo. Admit it. I'm from the get-rid-of-mayonnaise- school of thought entirely. It should be banned completely and miracle whip while you're at it. You... you hate celery... EVEN WITH PEANUT BUTTER?! I love nuts on their own, but I refuse to eat any baked goods with nuts in them, and I don't like nuts added to salads or stir fries or just about any kind of dish. I love the awesomeness of these food aversions! And its so funny how personal they are. Half the comments I'm going, "yeah, I totally hate that too!" And the other half I'm going, "what? How could you not like that?" And thanks Hanlie, for the spinach clarification! Thunderstorms? Computers... Hmm, I did read something about that somewhere... Yes, Lillian's mom, you're supposed to stay off the computer! Not that i always do... I just figure if I type REALLY FAST somehow it wont get me. Duh. I've also found a number of combinations I thought I disliked were just due to recipes. Like those candied yams. When I made my own and started tinkering with the recipe I found it could be quite yummy (first step - reduce all the sugars by half). I'm sooooo glad someone else hates celery. My boyfriend thinks I'm totally nuts...."it doesn't taste like anything" he claims. It does too, it taste like yuck. And even grosser, cream of celery soup, most awful thing ever! But celery in vegetable soup, okay, and if I'm fair, I can eat celery chopped up in tuna. Hmmm. I with you on the banana thing and the raisin thing. I can only eat bananas by themselves, and only if they are in that very small window of ripeness where there is little-to-no green left but before they start going past that just-barely-ripe moment. I can't stand banana-flavored anything. And it's the same with raisins. I used to eat them by the handfuls when I was little, not so much any more. But I can't stand them in cakes or cookies. I mean you're eating along enjoying your caky thing and suddenly there's a slimy raisin. Except I love the family pecan cake, even though it's loaded with them. Go figure. Also don't like candied yams or LIMA BEANS. BTW, have any of you had any of that gourmet chocolate with bacon??? Alcohol by itself (or other foodstuffs), fine. Have you ever tried really good olives (like imported)? I always thought I hated olives until I went to Morocco, and loved some of them. Then it occurred to me that I'd only ever tried the yucky green ones with pimentos, or the crappy black olives on pizza (still don't like those kinds of olives). Also, have you tried to cook celery? Celery is comparable to broccoli for me: don't care for it raw, but cooked, it's fine. Oh, and I can't stand sprouts, with anything. I know they're supposed to be good for me, but just can't do them. Raisins all by themselves are alright, don't put them in my cereal or bake them in anything except butter tarts and then only a very few. Can't eat or even stand the smell of bananas. Olives - gag, Olive oil - Mmm. Tomatoes, raw, cooked whatever, if they are in chunks yuck. Soup, love it, sauces, if I make it myself, juice, once in awhile. I'm with you on the olive thing. I can't stand them but have a Greek wife so this creates a great marital challenge. Buried in pizza, though, not so bad. Celery seems like an inefficient use of energy. It's so transparent and devoid of calories and flavor I'd rather just pantomime eating it. Thanks for referencing my article and have a great weekend! I am so with you on nuts in brownies & cookies! Although they almonds & pistachios taste great in my homemade protein bars! I like salsa & tomato sauce & such but not tomatoes. I know, bad! So with you on the olive oil! With you on the carrot raisin salad! Loved this post & have to check out your Juice stuff. Just been too crazed lately! Oh My Gosh Arena Fitness pantomime eating it. Thanks for making me snort with laughter and have my new coworkers think I'm weird. Carrot raisin salad reminds me of the nursing home I used to work in. Maybe it's a taste acquired with old age? I can't stand olives alone, but place them in proximity to artichokes, preferably on a pizza and I don't so much mind. I cannot do meat with fruit sauces. I never got why that would even sound like a good idea. Cranberry sauce I happily eat as "dessert" after my turkey dinner, however. I like fruit salad, but cannot put fruit in a regular green/veggie salad. Waldorf salad is a nightmare for me -fruit AND nuts in a green salad, ugh! Salt and vinegar chips smell like feet to me, and dry salami smells like armpits. I have a friend who doesn't like the consistency of toothpaste. She nearly gags when brushing her teeth. So I guess it could be worse...at least I can brush my teeth without gagging (which was necessary to get rid of all those ground nuts my grandma fed me in the nasty red Jell-O)! Hilarious article! I'm generally pretty adventurous when it comes to eating different kinds of foods in combination with each other, but I have to admit ... that photo of the carrot/raisin salad made me queasy. It looks like it's ready to be pureed and eventually packed into baby food jars! Call me crazy, but I'm not a fan of ketchup...I must be from another planet. Yeah, what's with ruining perfectly good peanut better by spreading it on celery? Blech! And why can't coffee taste more like coffee ice cream? That would ROCK!!!!! I'm not a fan of olives either but religiously use olive oil in everything. I have been trying to be less bratty and adding olives to dishes here 'n there and haven't found them totally disgusting. I think it's their texture for me so if I can hide that I can deal. Peanut butter on celery is awesome and is one of my favorite snacks. I cannot eat cooked spinach but most of my salads consist of raw spinach. It just has more flavor and texture than icky lettuce. I hate peas but will chow down a plateful of mac 'n cheese with peas and tuna in it like there's no tomorrow. I never realized how gross it sounded til I wrote it out but it's a major comfort food for me. I LOVE THIS POST! I am exactly with you on all of your analomies, except that I can get some celery down with really good dip, or if it's chopped up in a roux. :) I'll top your Coconut entry- Coconut in candy, cakes= nasty & chewy; cococnut in my pina colada = HEAVEN! Btw, that picture of carrot salad makes me want to vomit. But, I was dropped a lot as a baby and my mom was a terrible cook so I learned to like anything or starve (except seafood of course). Celery serves only one purpose in life: to enhance the flavor of chicken soup and traditional turkey stuffing. Otherwise there is zero point in consuming this bitter stalk. And adding peanut butter to it? Only if you found out the peanut butter had done something very, very bad and you wanted to punish it. I'm not sure who started it, the peanuts or me, but we have a serious hate going on. Even just the smell of peanut butter makes me gaggy. And the chicken satay I had a few weeks back (formerly a serious fave) was a gross. I used to lurve PB&J, peanut sauce curries, all of it but over the past couple of years I have been getting more and more grossed out by that little legume. All of the other nuts and I are bestest buds 4evah. They are just fine alone or in pretty much anything (provided they are fresh!) In fact, the other nuts should be very jealous of almonds. Bananas may be going the way of the peanuts, I'm afraid. I was never a picky eater as a kid - what the heck happened?!?! Oh my gosh, people!! None of you like carrot-raisin salad?!? Okay, listen. DO NOT put mayonnaise in it!! THAT is the atrocity. But grate some sweet, fresh carrots, add some nice golden raisins and some crushed pineapple and pineapple juice?? Heavenly! You can add pineapple chunks, apple chunks, a bit of shredded coconut, some chopped nuts if you like.... but *just* the pineapple juice for dressing. NO MAYO! And Crabby, have you tried celery dipped in dark chocolate? Fabulous!!! Is it just me, or are you guys totally hilarious today? Also, I've been running around with a bunch of Life Stuff going on and have been TERRIBLE about making blog visits this week. I swear I will get back on track soon! Thank God for Lyn...finally a poster that knows what she is talking about. Also don't like tomatoes raw, but love tomato sauce! Love carrots raw and cooked, but YUCK as a juice. Oh, this topic is too fun! Phew - so its not just me. I like tomatoes and tomato soup but drinking tomato juice makes me gag. I have to heat V8 juice before I can eat it. Likewise I love cooked whole salmon or fillets. But I can't eat smoked salmon - the texture is awful or canned salmon - the smell of it reminds me of catfood ... bleugh. I HATE BANANAS. And anything that smells like banana. In any form. Ugh. I love raisins out of a box but hate cooked mushy raisins in muffins, bread, or any kind of food. HATE celery. Even with peanut butter. Tricia, you are so very lucky that you hate potato chips! I also dislike beets and brussels sprouts, but that means I just haven't quite grown up yet. I think. The creamed onion thing made me laugh. I thought of them yesterday afternoon! Like the previous poster we had the same rule, you had to stay at the table until you had eaten your meal. There were some pretty long nights at my house. I am truly not a fussy eater but there are just somw things that don't work. My mother used to make this thing to use up leftover turkey - it was turkey, celery, bread crumbs, almonds, and onions held together with mayonaise and baked in muffin cups. Absolutely awful! Luckily that only showed up when we were down to little bits of turkey! too bad.. since the ingredients of carrots and raisins are actually fairly yummers. Hey! 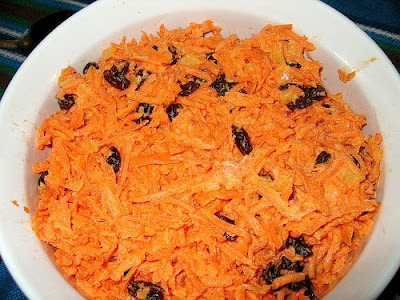 I love carrot and raisin salad. Really!!! Can't think of much I can't stand to eat except if in a sushi restaurant it would be sea snails, monk fish liver, and crab brains which are all just VILE! Sea cucumber (actually an animal) yum! There's lots of food I like that doesn't like me though. Jello, eh, ok. Fruit cocktail, eh, ok.
Jello salad with fruit cocktail? The only combination I can think of is steak and kidney, but it's not the steaks fault. It's just that kidney (and heart, tripe, liver etc) and all the things that TK mentioned are awful in the first place! That and I can't do crushed garlic rolled into a ball and coated with either butter or nutella. Crabby, we're soulmates on the celery thing. that has far too much sugar in it. I think the only food aversions I have are to organ meats (I just can't see the point of eating a filtering organ, like kidneys or liver) and things flavored with asafoetida. My brother-in-law is Indian and even *he* says asafoetida tastes like old socks. Pretty much anything else I'll eat. I'm not crazy about some things (very ripe bananas, candied yams, honey mustard dressing), but I can stand 'em. My mom used to feed me everything from Danish rice pudding to little dried fish with the heads still on from the Chinese grocery, so it's her fault. I cannot mix fruit with anything. I will eat fruit, drink fruit juice, etc, but if it's mixed with something like bread, cake, chocolate, a smoothie, or even raisins in a couscous, i...just...can't. And it works the other way around as well- if something has even a hint of fruit in it, i won't eat it. I cry when i see raspberry coulis on cheesecake. I'm here to defend carrot raisin salad! It's delicious! Especially if you use big, juicy flame raisins! YUMMY! !